An engaging writing style and a strong focus on the physics make this comprehensive, graduate-level textbook unique among existing classical electromagnetism textbooks. Charged particles in vacuum and the electrodynamics of continuous media are given equal attention in discussions of electrostatics, magnetostatics, quasistatics, conservation laws, wave propagation, radiation, scattering, special relativity and field theory. 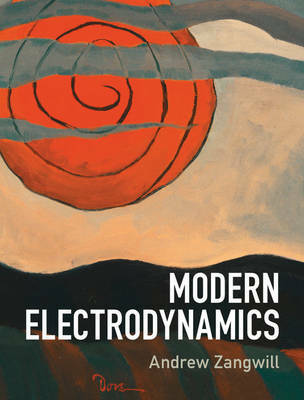 Extensive use of qualitative arguments similar to those used by working physicists makes Modern Electrodynamics a must-have for every student of this subject. In 24 chapters, the textbook covers many more topics than can be presented in a typical two-semester course, making it easy for instructors to tailor courses to their specific needs. Close to 120 worked examples and 80 applications boxes help the reader build physical intuition and develop technical skill. Nearly 600 end-of-chapter homework problems encourage students to engage actively with the material. A solutions manual is available for instructors at www.cambridge.org/Zangwill.